Did you see my Insta posting last night?! Yes! 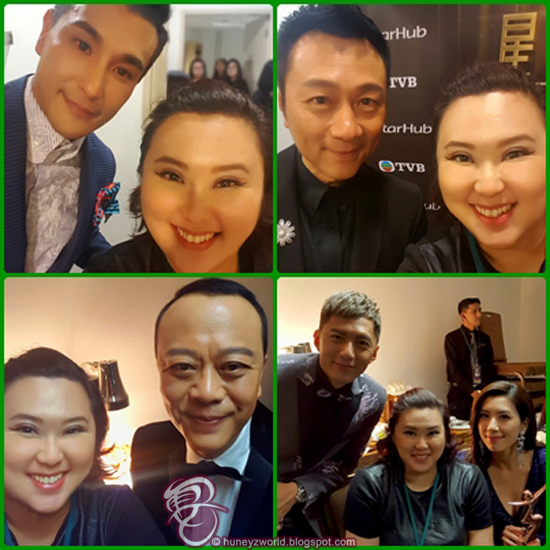 This little TVB fangirl got her meet-the-stars moment and was almost too stunned to speak with these stars! 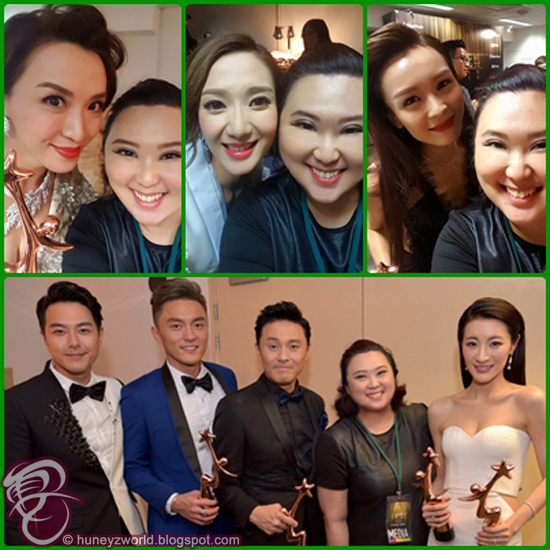 Veteran actors Bobby Au-Yeung (歐陽震華), Wayne Lai (黎耀祥), Carol Cheng (鄭裕玲) and Gigi Wong (黃淑儀) graced the StarHub TVB Awards 2016 alongside top favourites Ruco Chan (陳展鵬), Nancy Wu (胡定欣), Ali Lee (李嘉馨), Rosina Lam (林夏薇), Grace Wong (王君馨), Alice Chan (陳煒), Edwin Siu (蕭正楠), Kenneth Ma (馬國明), Vincent Wong (王浩信), Moon Lau (劉佩玥), Tracy Chu (朱千雪), Selena Li (李詩韻), Mat Yeung (楊明), Raymond Cho (曹永廉), 農夫FAMA (Luk Wing Kuen 陸永權 & C-Kwan 鄭詩君), Mandy Wong (黃智雯), Matthew Ho (何廣沛) and Benjamin Yuen (袁伟豪). "A Fist Within Four Walls (城寨英雄)" clinched the most awards for the night whilst the actors and actresses from "Brother's Keeper II (巨輪 II)" and "Short End of the Stick (公公出宮)" also won several awards.